On the strength of Saudi Arabia dismissing U.S. president Donald Trump's demand to relax its crude output cuts for the sake of lowering prices, oil prices surged by over 2 percent on Wednesday - but there are still plenty of indications based on countries eager to pump full out that such gains may be temporary. Khalid al-Falih, energy minister for the Saudis, responded to Trump's message suggesting that the Organization of the Petroleum Exporting Countries (OPEC) should "relax" by telling media that "We are taking it easy." He explained, "The 25 countries are taking a very slow and measured approach; just as the second half last year proved, we are interested in market stability first and foremost." We are taking it easy. He added, "We listen to the honorable president, and hear his concern about consumers and assure everybody, whether it's him or developing country leaders, that we are as focused on the interests of the global economy and consumers around the world, as we are focused on the interests of producers." Presumably stoking the ire of the brash billionaire, al-Falih added, "I am leaning toward the likelihood of an extension [of the cuts] in the second half [of 2019], but that's not automatic." 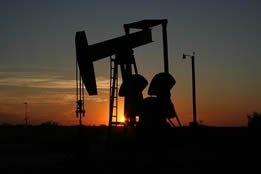 The minister's resolute stance appealed to traders, who on Wednesday caused West Texas Intermediate to jump $1.44, or 2.6 percent, at $56.94 per barrel; Brent rose $1.19, or 1.8 percent, at $66.40 per barrel. Although sources told Reuters that OPEC may indeed "continue with the production cuts until the end of the year" instead of finishing at the agreed upon June cutoff date, it's worth noting that Russia - which reluctantly entered into the cutbacks with the cartel, has yet to enact its share of reductions, and has on numerous occasions disclosed plans to expand production in the near future - believes the oil market is more or less stable now, at least according to comments made by energy minister Alexander Novak this week. In addition, the latest country to express its ambition to boost output is Bahrain: Sheikh Mohammed bin Khalifa Al Khalifa, disclosed that his country is talking to U.S. companies with shale oil expertise about developing a huge oil and gas field discovered last year, and that the first test well is being drilled now. While Bahrain is a small player in the global market, many other small players are attempting to develop its reserves, and this combined with ongoing record output from the U.S., and with giants such as Russia waiting in the wings to be unfettered, could seriously challenge any inroads OPEC may make in preventing another international crude glut.